Milling is a technique that removes the top layer to make room for a new layer of asphalt overlay. Our milling operations can mill any length of road or size of parking lot. We can remove surface coarse asphalt or perform full depth milling to excavate out all of the asphalt and or aggregate base. When milling we remove the desired amount materials to be trucked back to the plant to be reused or stockpiled on site to be used in other parts of the construction project. Through pulverization, Kartechner Brothers LLC can turn your broken, beat up or badly cracked road or parking lot into a reusable base course material. The process of pulverizing and mixing the existing asphalt into the existing aggregate base results in a thicker and stronger base material to support the new asphalt surface. With our pulverizers we can also add stabilizing agents such as lime or cement turning unsuitable and unstable materials into structural soil and base materials. 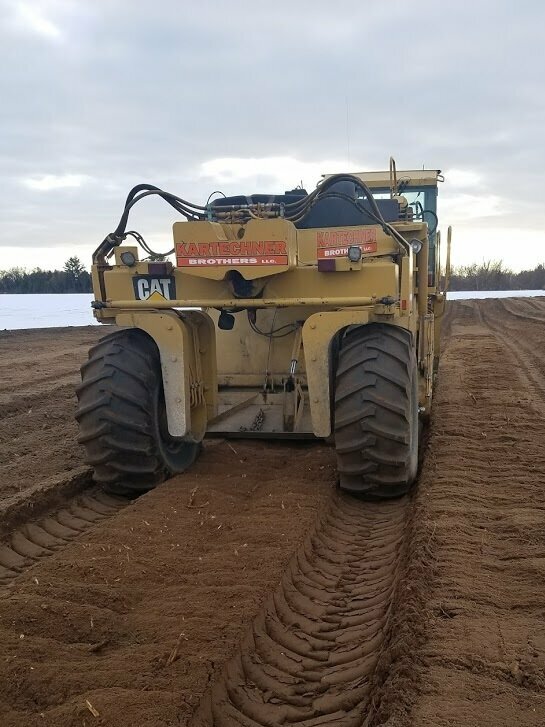 This process of reusing the existing material by utilizing stabilization will save the customer time and money by reducing the excavation and hauling out of poor soils and hauling in new structural fill or base.